CDM Coordinators Midlands - CDM Regulations are our cup of tea. Veritas Consulting , registered CDM Coordinators based in the Midlands are able to provide an in-depth understanding of the regulations governing Design and Construction projects more commonly known as the Construction Design and Management Regulations. (CDM). The increasing demand for an experienced CDM Coordinator, who can offer the high levels of service required to administer the Construction (Design and Management) 2007 Regulations (CDM) on a wide range of projects, is one of the driving factors behind Veritas Consulting ability to deliver client needs. This is especially true since Veritas Consulting are in a position to provide an experienced CDM Coordinator, who possess a clear understanding of the CDM regulations and a proven track record in the role of the formerly named Planning Supervisor. Our CDM Coordinator has many years experience working with contractors, Architects and other designers, often carried out under most demanding circumstances on numerous construction projects, which include new build, offices, educational, and leisure with values from £50k to £90m. Our CDM Coordinator meets the academic requirements for registered Membership of The Association for Project Safety www.aps.org.uk indicated by the suffix (RMaPS) which is ONLY available to those who can demonstrate training and experience which is necessary for the practice of a CDM Coordinator. 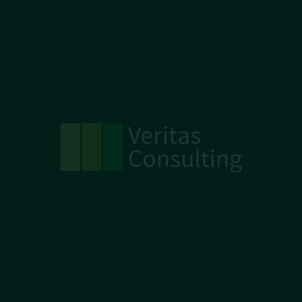 Veritas Consulting aim to provide “value for money” and want you to spend your money on the construction of your project rather than consultant’s fees. Firstly the client, has to provide adequate pre-construction information relevant to health and safety to the CDM Coordinator. Including existing drawings, surveys of the site or premises; information on the location of services, etc; and designers, have to provide information about the risks which cannot be avoided and will have to be controlled by the principal contractor and other contractors. Typically this information may be provided on drawings, in written specifications or in outline method statements. Issue the initial F10 Notification immediately after being appointed as the CDM Coordinator and issuing the additional F10 Notification as soon as reasonbly practicable after appointment. Ensuring that the Client is fully briefed on current CDM Regulations and any potential changes. If the Client requests, obtain evidence from potential designers and appointed Principal contractors regarding previous experience, skill and knowledge. Undertake a complete assessment on competence and resources related to the proposed project and report accordingly to the client. Assist with Preparing the Project Risk Register for the project along with any Residual Hazards that remain. Co-operation between Designers on health and safety issues that they have eliminated and reduced risks which their designs generate and control risks to those involved in or affected by construction operations. Ensure so far as reasonably practicable that designers provide adequate information about the significant health and safety implications toward execution of the design. Prepare the Pre-Construction Information, ensuring it reflects Client duties and fully satisfies health and safety legislative requirements, encompassing all project health and safety risks and understandable by all parties. To be satisfied the Construction Phase Plan gives full consideration to the health and safety risks identified in the Pre-Construction Information and the project going forward. Hold a meeting with the Principal Contractor to discuss the Construction Phase Plan ensuring appropriate revisions are made to achieve compliance status. Commence with developing the Health and Safety File, soon after being appointed as the CDM Coordinator, ensuring it reflects client requirements, following discussion agree structure and preferred layout with the client and handed to the client no later than Practical Completion. Ok, I’m interested whats my next step?